Even the most stodgy of movie goers will find thrill in the cornucopia of delights that is the film La La Land. It can’t be easily marketed because it’s a musical that won’t appeal to all fans of musical theater, and a film about the arts that doesn’t take itself too seriously. It is just as much about dreams, ambition and finding your way as it is about romance. It also features one of the most honest adult relationships seen on the American silver screen in years. Add in it’s blithe intelligence, and charming bow to the golden-age of American cinema, and you have a modern-day classic. It is THAT GOOD. Mia (Emma Stone) and Sebastian (Ryan Gosling) first interact as he honks angrily at her when her she fails to notice that traffic is moving again. Now that we have met the two central characters, the film bounces through their lives introducing us to their friends, work and dreams through snappy, colorful and interesting segments separated by the seasons of the year. Mia is the token red-head in an apartment full of wanna-be actresses. Each is different Hollywood trope, the lusty blonde, the feisty brunette and each wears a bold primary color. We can see immediately that Mia has much more to her. She has dreams of writing and wants a full life experience, not just to settle for a little life. Sebastian is a washed-up jazz musician. He dreams of opening his own joint but refuses to budge on his ideas and therefore is stuck in a rut, almost penniless and homeless. He doesn’t seek relationships, and love isn’t something that he encourages or pursues. The two inconsequentially run into each other several times giving hints of a traditional movie romance which harkens back to a slew of American movie classics. The swoon level increases at a measured pace which adds to the dreamy quality of the film. With flowing bright costumes, Technicolor scenery, and fantastic music that feels both familiar, and completely original, everything about this film is palatable, and delicious. The dialog and relationship flow so naturally through Stone and Gosling that you feel more like you’re witnessing an actual relationship than watching one on film. Their imperfect singing voices make the vulnerability of them more touching, genuine and heart-breaking. There’s a particular scene when the two run into each other at a Hollywood party that is as funny as any I’ve seen this year. Writer and Director Damien Chazelle proved his talent for creating deep and concise characters in 2013’s powerhouse film Whiplash. His writing matched with the subtle, yet passionate performances by Stone and Gosling feel like seeing Tracy and Hepburn in Woman of the Year, except with top-notch singing and dancing. The film has been popping up at film festivals throughout the year, three cheers to Houston Cinema Arts Festival which gave attendees the opportunity to see it last month. The soundtrack come out December 9, 2016 and will surely be hummed and howled for the foreseeable future. Both the original score and original songs are receiving wide acclaim and perfectly match the nod to the past with contemporary nuance that the rest of the film possesses. 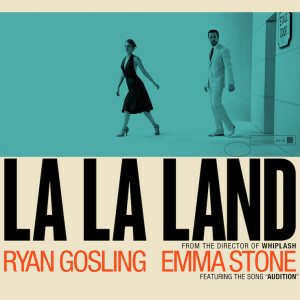 Wide release for La La Land is December 16, 2016. Whatever you’re expecting, you’ll get something that you didn’t expect.